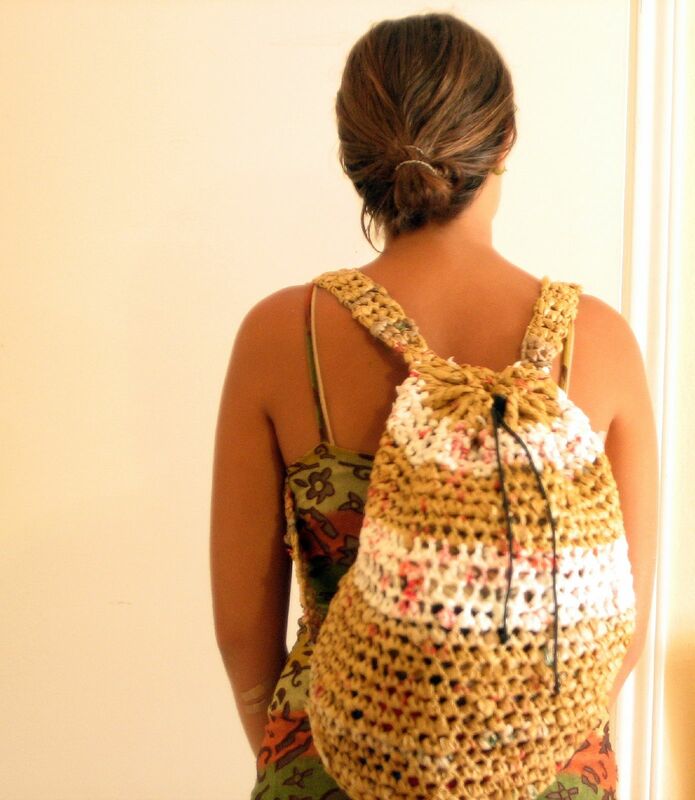 * Learn how to recycle single use plastic bags (and other recycled materials) into durable, reusable, functional items. * Schedule a workshop, share your ideas, and browse various resources about recycled art. I think green is my favorite color on you! I would like to put together a workshop with an artist group I’m involved with when you get back from India. I will share your link! Thank you for charing with us!!! This is a great idea. I’m leaving in Africa and the need of reusing the plastic is enourms!!! So i started, as voluntaree, an atelier of recycling and on my web search for info your first blog appear. For sure i’ll contact u for more info. hey there , this is such an amazing idea that im really interested in. Where are you guys based? I don’t know of a place where you can buy plastic yarn. You can make it yourself, though, by cutting plastic bags in strips and looping them together (instructions on my site). That’s the process I use.